This Sony Vaio UX50 came with a 30GB hard drive from the factory. 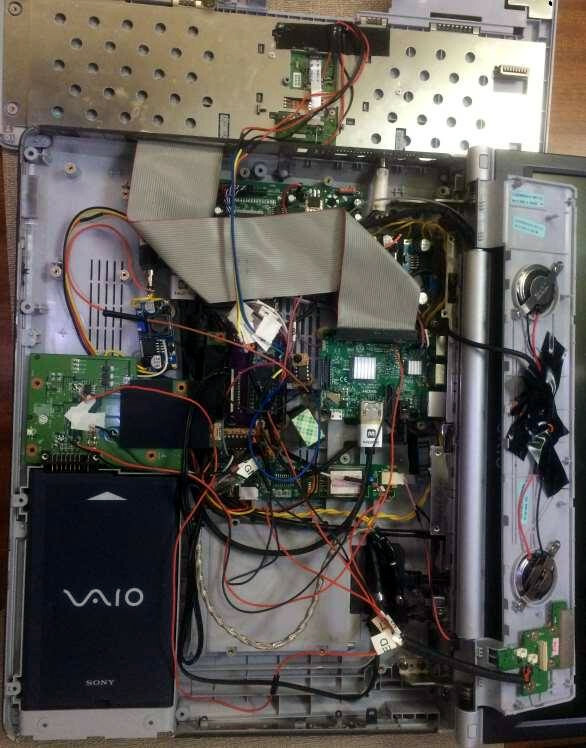 This hacker wanted to do an upgrade and move to solid state, so he started hacking away. He ended up with a total of 64GB of solid state storage crammed into the computer. The hard drive was replaced with a 4GB compact flash drive and the rest is spread through out the device. Apparently any crevice or crack in the Sony UX50 can have memory shoved into it. He managed to somehow get 60GB of storage in there through various USB extensions and adapters. Notice the sticker on the inside of the case. Is this the latest fad? Decorating the inside of the unit where only you know it exists?